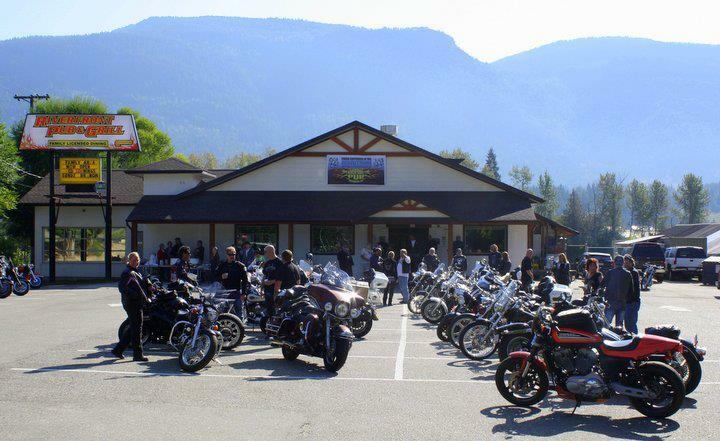 With Our 8th Annual Poker Run!! Will Post Some Pics Soon..
Click on the link above to download a full size printable poster! We will be updating the poster as we add more information to it. More than 30 homes have been lost already to this out of control wild fire in Rock Creek. Let's try and raise some funds to go towards helping these families rebuild their lives and homes. In 2008 we at the Riverfront Pub lost our business and my home to a fire so we are familiar with how it feels to try and pick up the pieces after something like this. There were a lot of people that came forward when we needed help so now its our turn to do what we can. 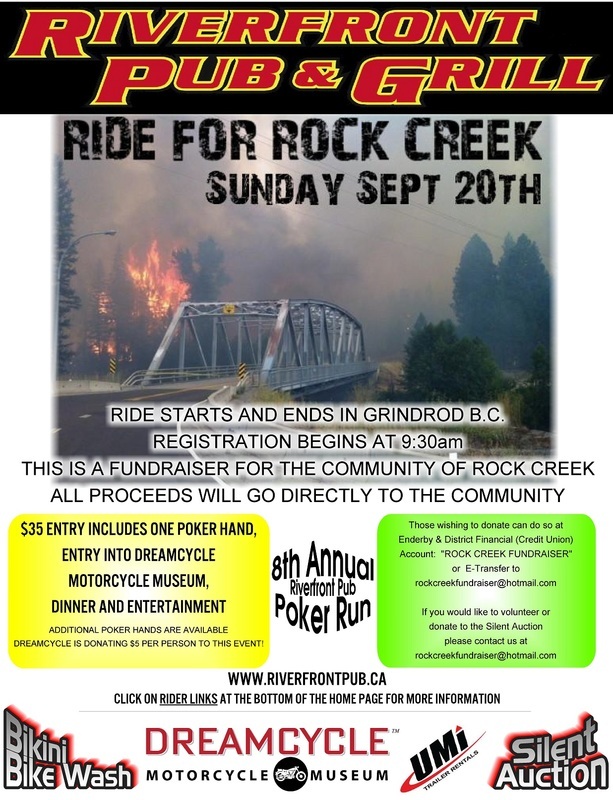 Please join us on September 20th as we Ride for Rock Creek!! 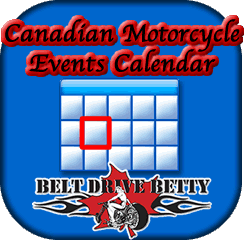 Meet at the Riverfront Pub in Grindrod between 9-10am. Ride will leave from and return to the Pub and include a dinner after. Entry fee and exact route are yet to be determined. We have been raising funds for the local Grindrod Park and Hall for the last several years and have decided to donate to the Grindrod Elementary School this year. The date of our 7th Annual Riverfront Pub Poker Run was June 14th, a bit earlier than usual and it was a great success!! With Your help we raised $1300 for the Grindrod Elementary School!! 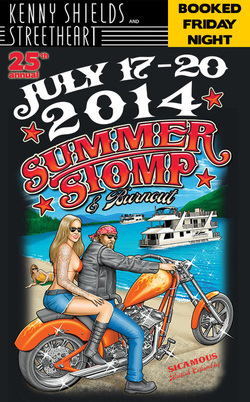 Click Here for more info or Click on the picture for the Facebook Event..
You don’t want to miss the 25th Annual Summer Stomp & Burnout July 17 – 20, 2014.Same ol’ party, same place in Sicamous, same dates as always, third weekend in July. Caught without your riding glasses ? We sell these WWII style goggels at the pub!! Tinted for day riding and yellow for better night vision.